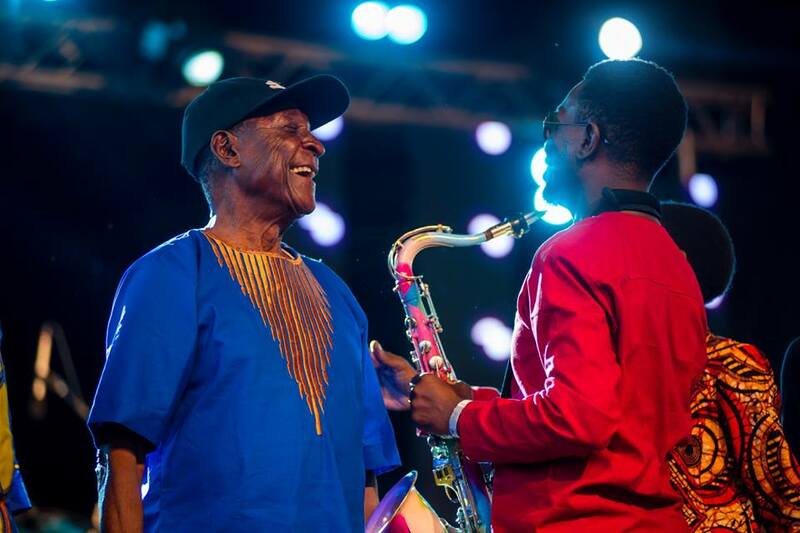 I will say this with all honesty; there is nothing as beautiful as music crafted by musicians and the audience can resonate and connect with. I am still buzzing with the thrill, excitement that I experienced at the carnivore grounds on Labor Day. 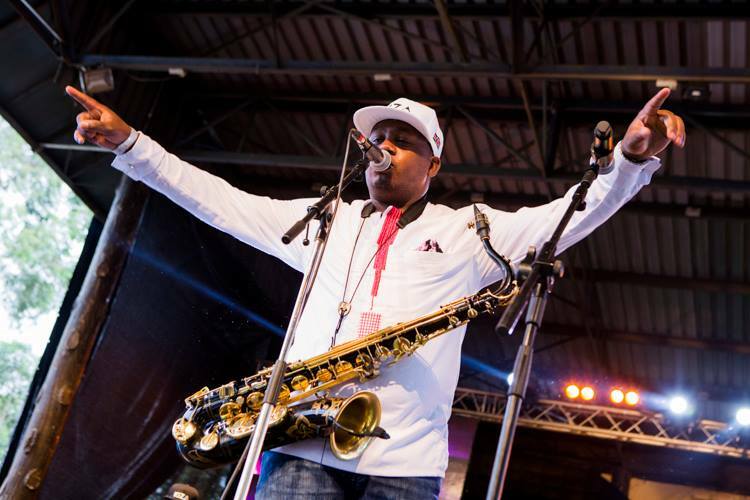 The experience was a holistic view of everything a festival should be like where music lovers come together to appreciate the love of African Music. 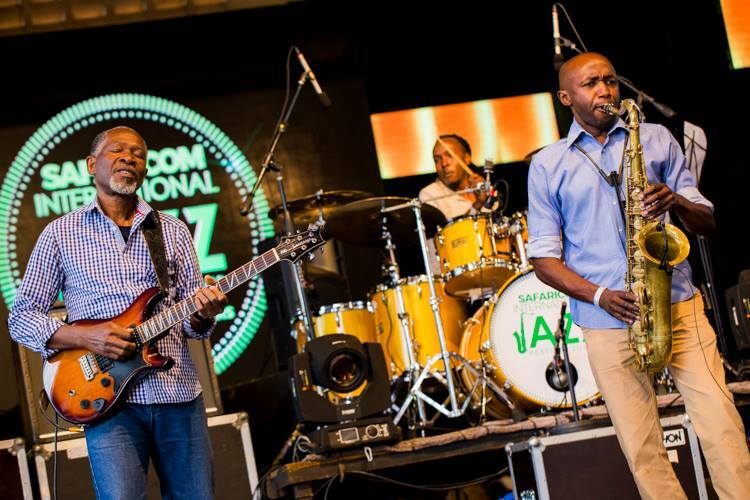 We all made our way to go and commemorate the international Jazz Day celebration that was proudly sponsored by Safaricom. 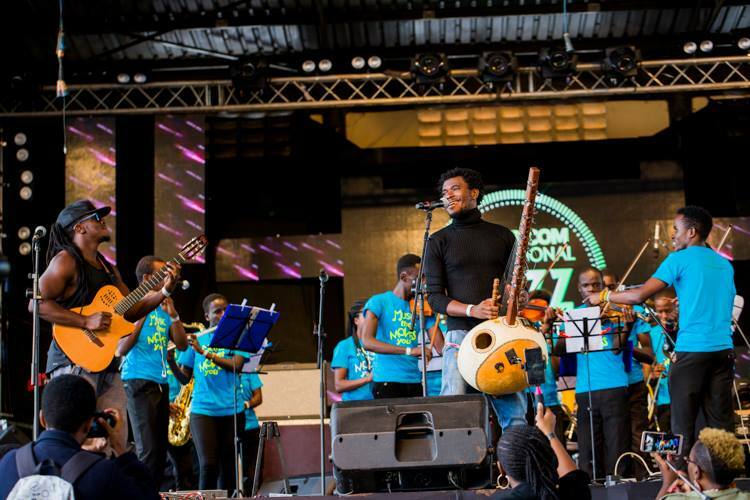 This happens to be the second year the company has taken the initiative to sponsor the International Jazz day celebrations in Kenya. The weather was a bit ‘moody’ with a bit of rain and sunshine but it failed to douse the city’s spirit, even when the ominous clouds gathered and the rain poured we all gathered in the main arena tent lit a few cigarettes, downed a few beers, cheered on for the show to still go on. The vibe was real! 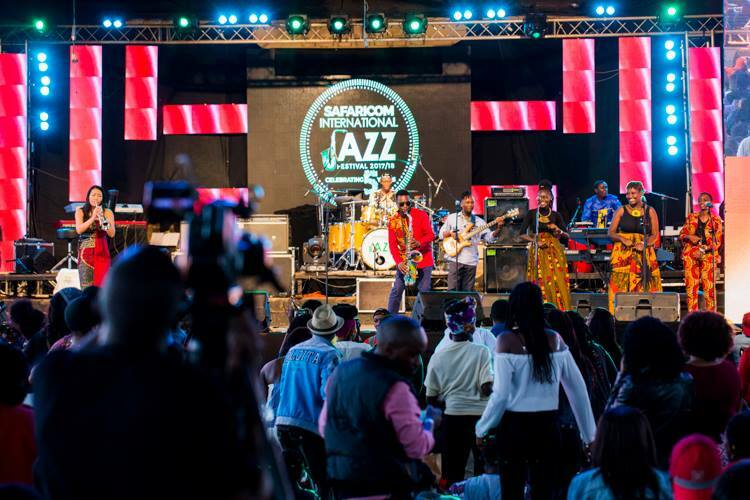 The most definitive point of this year’s Safaricom International Jazz Day Celebrations was the various collaborative sets from the various acts with a distinctive grain of sound that evoked an appreciation of the uniqueness, affluence and diversity of African music most especially Kenyan Music. 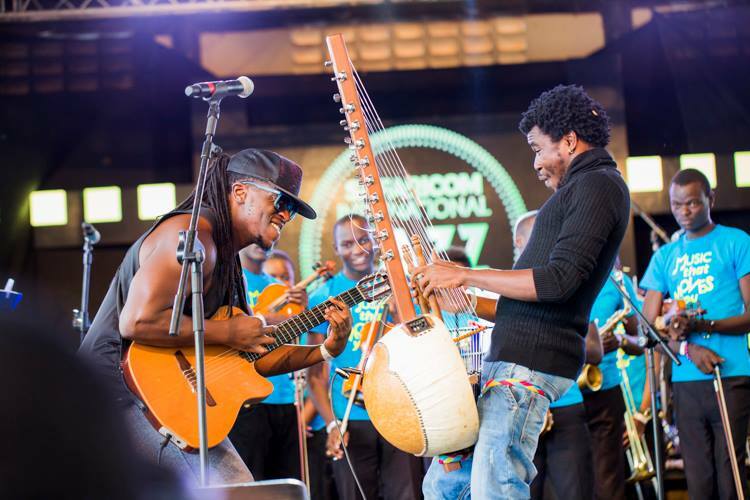 It included our very own Swahili Jazz band performance that had shades of the Bango sound to Edward Parseen and different faces band rendition of Kisii folk tunes. 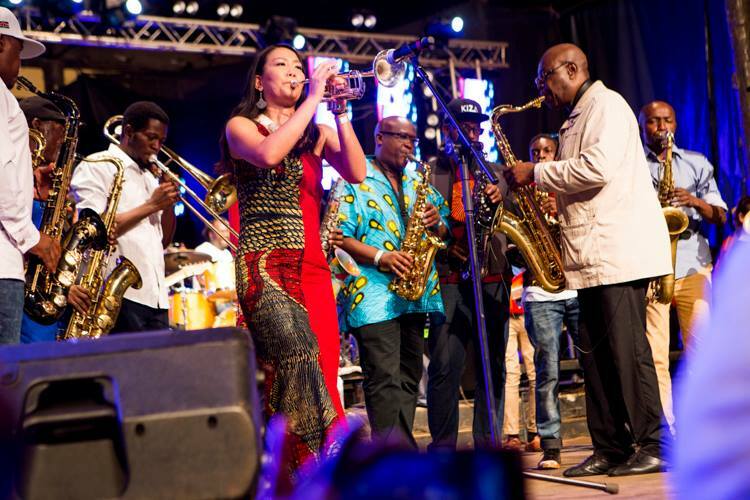 I was thoroughly impressed by most of the artists and the level of jazz talent. My personal favorites came in the form of both expected crowd-pleasers and unexpected pleasures. Topping the list of unexpected pleasures was the stirring duet of Jacob Asiyo and Kavutha Asiyo who bestowed a trance on us by impeccably narrating her romantic story of how she met with Jacob Asiyo and looping that story into such an amazing song, ‘Songea’. She already had the crowd in her proverbial palm, it was magical. 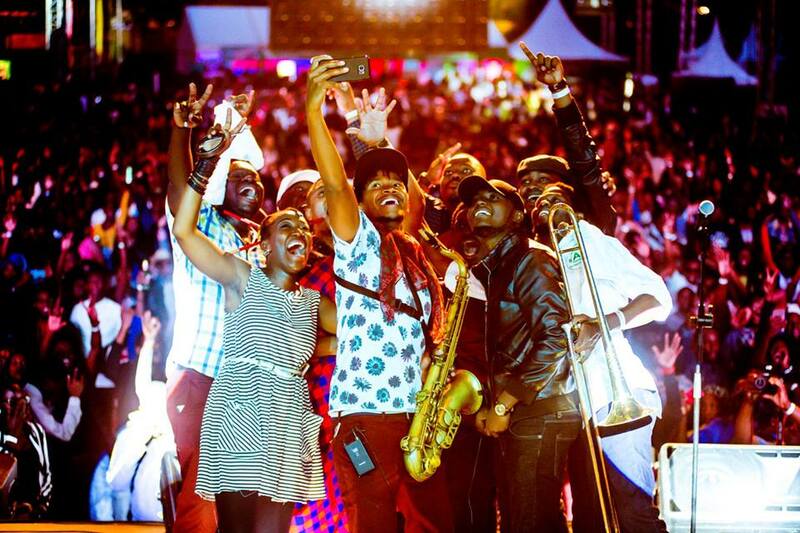 It was astounding to see a palate of various musical colors, from our Kenyan sounds. 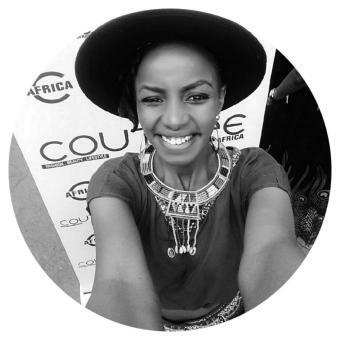 A fusion of folk tunes and nuances of various distinctive sounds from Kenya. The music that was performed was tight, and it’s a treat to watch musicians of that caliber work with other musicians on collaborative sets. Watching acts like Nairobi Horns Project who pulled up such an electrified performance, collaborating with Africa Plus from South Africa. Edward Parseen’s who is never short of surprises; lead the entire ensemble enthusiastically deriving sounds from the Kisii folk tunes, as Eddie Grey took us on an incredible musical journey that involved a fusion of classical music and traditional music as he held it down with Ghetto Classics and Swahili Ally on the Kora. We also had the absolute pleasure to dive into the Coastal music courtesy of Mambo Tribe with their expressive, earthy, and rhythmic precision. 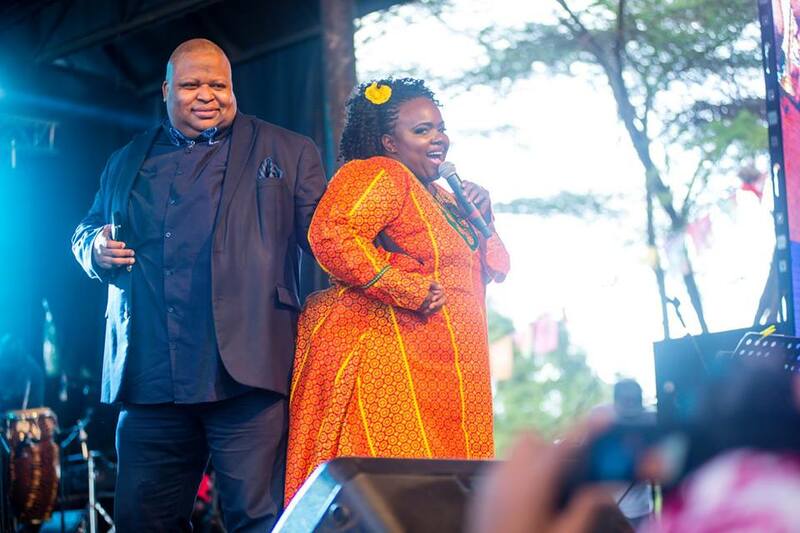 The most magical moment for that day was during Manu Dibango’s set. 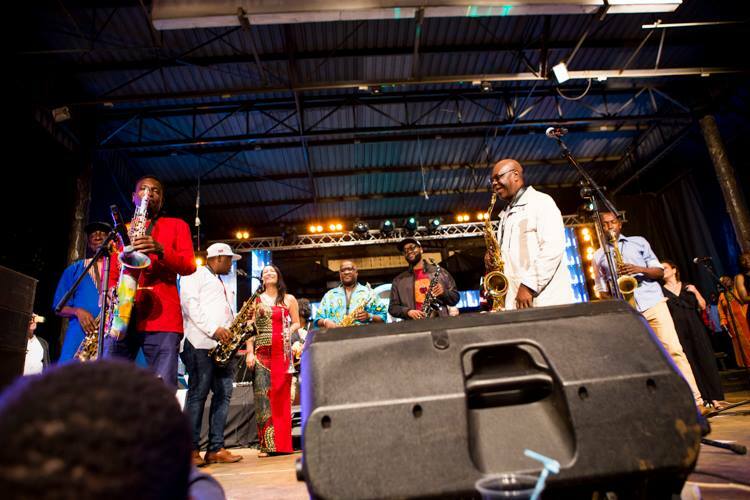 When Manu Dibango was almost finished with his performance, the all the Kenyan acts joined him on stage collectively shaking away any semblance of sadness that the event was over.